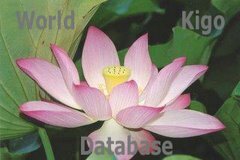 This is one of the 24 special points of the seasons in the Asian Calendar. On this day, the insects and other hibernating creatures wake up and come out, for example frogs, snakes and grubs. So it is not only insects, but all kinds of animals that wake up. It is finally getting warm enough to start a new circle of life. 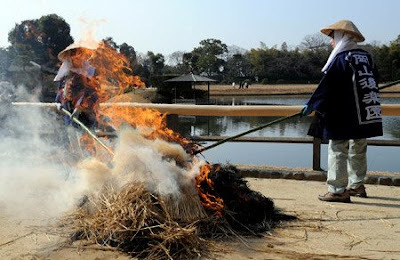 Today, close to the day insects are coming out, the mats around the trees of many parks in Western Japan were taken off and burned. 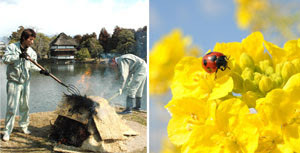 This is an annual event which attracts many tourists, called "komoyaki こも焼き". Here we see the famous park in Tsuyama town, close to my home in Okayama prefecture. And as if on clue, I saw my first ladybug and a grasshopper today in my own garden! 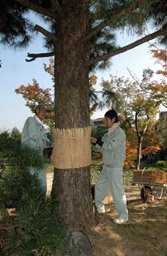 This is a preparation for winter, to make sure the insects do no harm to the tree itself and can hibernate between the bark and the mat. This event usually takes place on another one of the 24 seasonal turning points, around 23/ 24 of october, called "Frost descends", see below. In spring, these mats are taken off and burned. 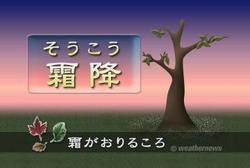 Above ground and below ground the air is ready for keichitsu. This day is a bit similar to the awakening of the animals in Japan. the framework of the seasons.